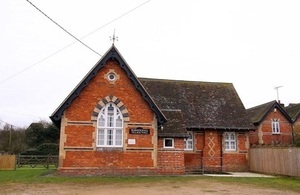 A £3 million fund to improve village halls and better connect rural communities across the country is being launched today (5 April 2019) by the government. The new scheme, which will help around 100 community building projects to get on site and start work, will be opened by Rural Affairs Minister Lord Gardiner and Exchequer Secretary to the Treasury, Robert Jenrick at the Oxton Village Hall in Nottinghamshire. "Village halls are the cornerstone of our rural communities. They provide vital spaces and facilities for people across the country – from fitness and social activity through to healthcare and education. "I am delighted to launch officially this £3 million grant scheme for village halls, supporting these important hubs for our local communities." "Village halls are the heart of rural communities. This £3 million will help ensure that people living in villages across the country will be able to enjoy these important assets for many years to come. "Many village halls were built as memorials to local people who lost their lives in the first world war and this funding is part of our national commemoration of the centenary of the armistice."